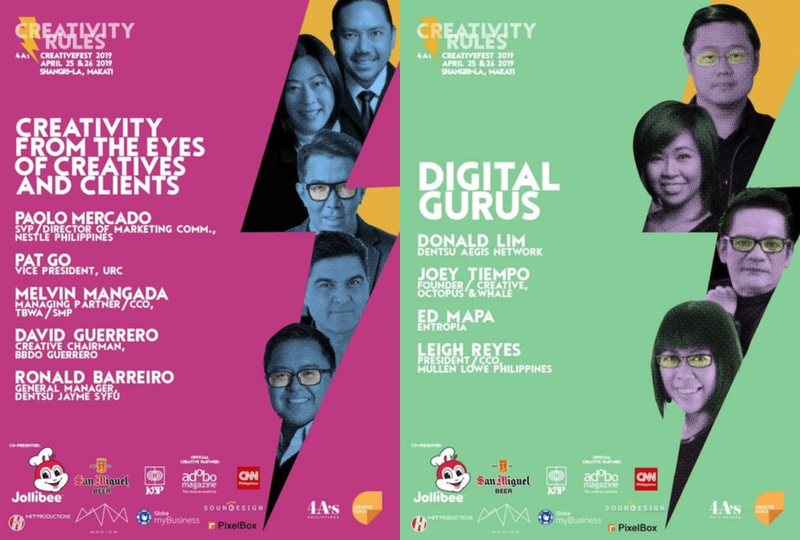 The program for the 4As Philippines CreativeFest 2019, to be held this month (April 25 + 26) at the Makati Shangri La hotel in Manila, has been released. In addition to keynote presentations from international speakers – including Burger King’s Global Chief Marketing Officer Fernando Machado, Dentsu Asia’s Regional Chief Creative Officer Ted Lim and Greater China Head of Facebook’s Creative Shop Kitty Lun – several other panel discussions are planned. 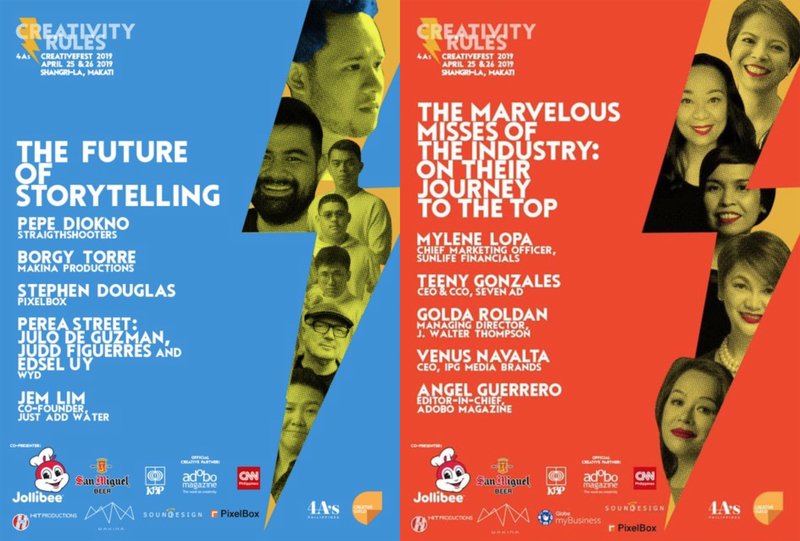 These panel presentations feature Client, agency and production professionals from the local Philippine industry. PixelBox general manager Stephen Douglas will be part of the Creativefest 2019 Storytelling Panel, ‘The Future of Storytelling’ discussion where he will share his ideas on ‘When Budget Counts’. Joining him on stage will be Pepe Diokno (Straightshooters), Borge Torre (Makina) and Perea Street (WYD). Jem Lim from Just Add Water will host the discussion. An all woman panel will also discuss “The Marvelous Misses of the Industry: On Their Journey to the Top”. This panel features Mylene Lopa (Sunlife Financials), Teeny Gonzales (Seven Ad), Golda Roldan (JWT) and Venus Navalta (IPG Media Brands). Adobo Magazine’s Angel Guerrero is hosting the panel. The Digital Gurus also take the stage for another panel – this is comprised of Donald Lim (Dentsu Aegis Network), Joey Tiempo (Octopus & Whale), Ed Mapa (Entropia) and Leigh Reyes (Mullen Lowe). The fourth panel with discuss “Creativity From The Eyes of Creatives and Clients. On stage will be Paolo Mercado (Nestle), Pat Go (URC), Melvin Mangada (TBWA\SMP), David Guerrero (BBDO Guerrero) and Ronald Barreiro (Dentsu Jayme Syfu).